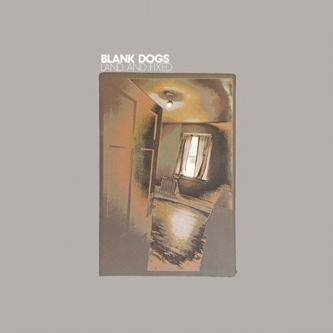 Brilliant synthwave transmission from Mike Sniper's Blank Dogs. Besides running the prolific, wave-riding Captured Tracks label in Brooklyn, Mike has carefully curated an impressive arc of artistic development with his pet project, growing out of lo-fi beginnings to the brighter and relatively clean sound of 'Land And Fixed'. The album's twelve tracks are still shrouded in tape textures but the sounds behind the gauze are more pop-confident, laden with super tight synthpop hooks and arranged as efficiently as ever. Dipping in, we find that 'Blurred Tonight' has the charm and jangle of prime New Order, and in 'Collide' the coldwave pop melancholy of Cold Cave, while 'Insides' has an influx of EBM-inspired synths and cold, brittle drum machine rhythms. The jangly Manc guitars which permeate much of the LP are deployed achingly well in the spiky post-punk of 'Languages' and on the album's most electronic track, the discordant synth harmonics and pulsing sequences of 'Elevens' owe a debt of gratitude to Chris Carter. Again, New Order are clearly referenced on 'All Around' in a curious NYC<>MCR return influence hile 'Through The Wall' opens out into a more widescreen shoegaze sound, remarkably similar to what Altar Eagle are doing with a fusion of magically reverbed guitars and celestial synth melody infused with narcotically fugged vocals. Highly Recommended.